Gestalt is defined as an organized whole that is perceived as more, or according to German psychologist Koffka, other than the sum of its parts. This psychological principle can be applied to both visual perception—a tool often used in design—and conceptual perception. In design, gestalt is used to explain the way our mind groups objects in proximity, continues objects through negative space, and closes unfinished shapes. It also explains how we differentiate between figure (perceived object) and ground (apparent background context). 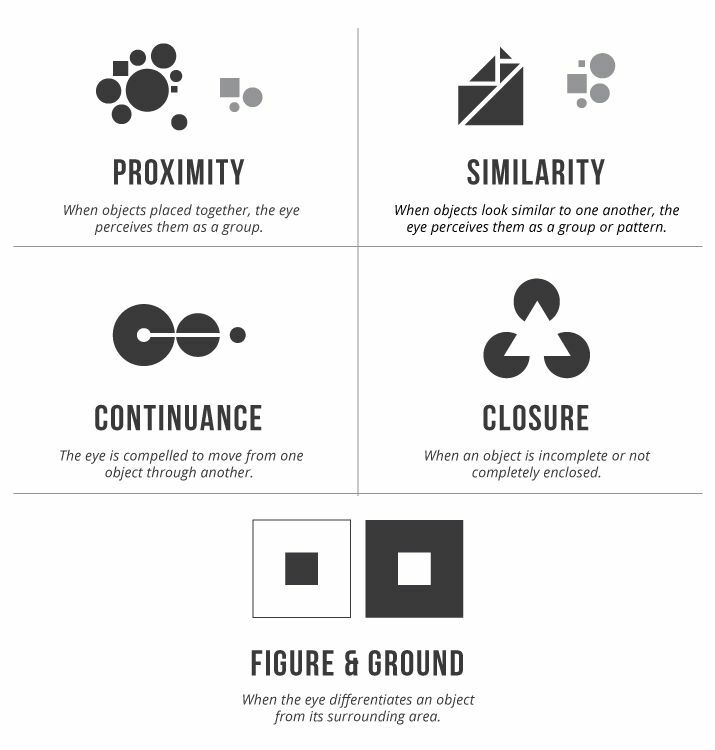 These principles of proximity, continuity, closure, and figure-ground are heavily influenced by our understanding of positive and negative space. These principles are not just limited to visual perception, but to how we understand concepts, theology, and literature. Without this ability to recognize the implied, connect themes and imagery, and compare ideas, we would have a difficult time learning. Jesus can be seen throughout the Bible in metaphors and implied word. But Jesus is also proclaimed vibrantly through prophecy and his brief time on earth. Hidden and woven throughout the story of the universe is the promise of a savior, and the giver of life. He is the continuity between the Old and New Testaments. He is both the object of our focus and the context of our lives. The gestalt theory is also an interesting lens through which to view the Trinity. Three parts, individually great and powerful, that together are one inextricably connected and omniscient, omnipresent being. Perichoresis is a term used to describe the relationship between God, the Holy Spirit, and Christ within and of the trinity. It is derived from the Greek and has been defined Christologically to mean the unity of three natures together in one. That includes a permeation between that which is homosubstantial (of the same substance) and heterogeneous (of diverse character). However, because of Christ there is also permeation of the heterosubstantial and the heterogeneous. Stamatović proposes in his research, “The Meaning of Perichoresis”, that there is perichoresis between the Trinitarian God and His creation, together with man and the entire Nature, adding that, “one should have in mind here that the permeation of divine and human nature in one and the same person implies that that person is divine even in its human aspect.” Christ can be seen as the unification and intersection of the divine and the earthly, bringing heaven to earth. Sometimes it’s hard to recognize the value we have in our lives when we are so focused on our day-to-day activities. However, what makes our lives valuable here on earth, is relationship and connectedness with other humans– the web of lives and interactions shaping us and giving us purpose. We are more than the sum of the events in our lives. 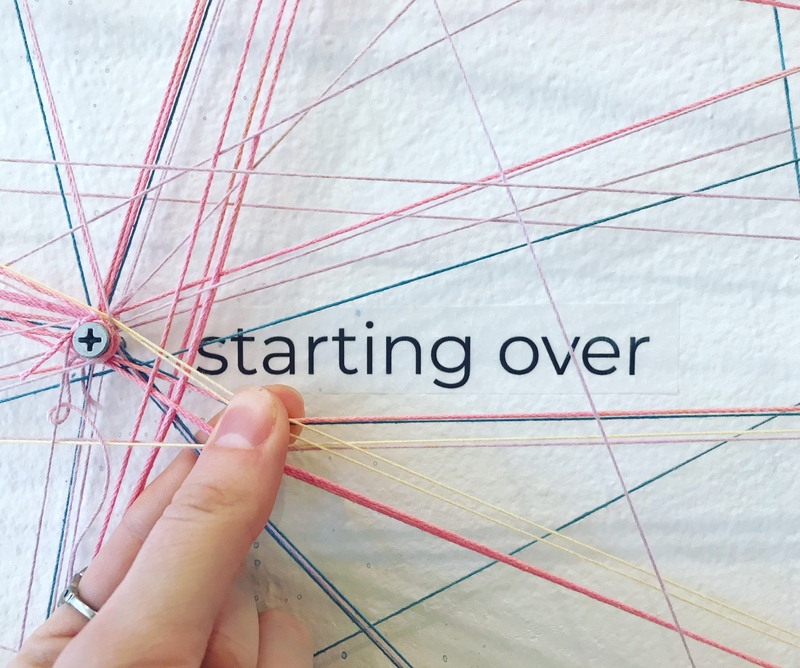 Gallery Edit’s interactive piece invited visitors to map their journey with the yarn color which corresponds to their age group, beginning wherever they saw fit. Each of their life’s journeys became one complete piece that meant so much more. We are connected by our shared experiences and when we remember that we are greater together than individually, we are strong. We all reflect the glory of our Creator, bound together by love and a shared identity in Christ. 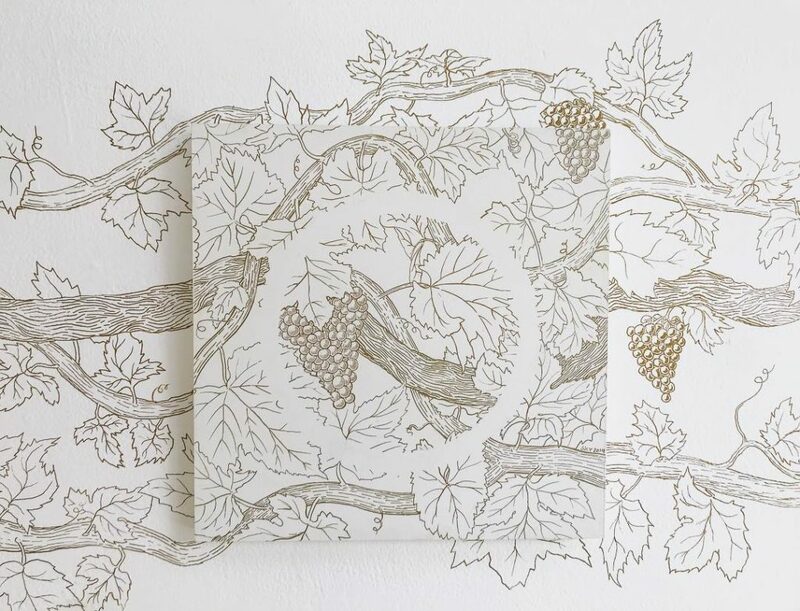 In John 15, Jesus proclaims himself to be the “true vine” and his followers branches from the vine, meant to bear good fruit. Bearing fruit requires a connection to the life-giving vine. But bearing good fruit requires patience, growth, time, and energy. I hope to bear fruit that is good. Stamatović, Slobodan. (2016). The Meaning of Perichoresis. Open Theology. 2. 10.1515/opth-2016-0026.